Nine has renewed Doctor Doctor for a second season after just two episodes have aired. 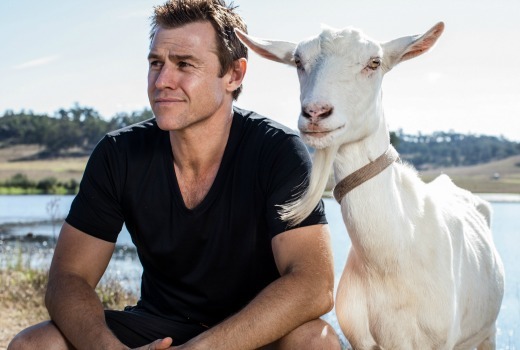 The new series starring Rodger Corser and produced by Essential Media debuted with 759,000 viewers and rose to 821,000 last week and has performed well in the Demos. The cast of Rodger Corser (Hugh), Nicole da Silva (Charlie) Steve Bisley (Jim), Ryan Johnson (Matt), Tina Bursill (Meryl), Hayley McElhinney (Penny), Shalom Brune-Franklin (Aoife), Matt Castley (Ajax), Chloe Bayliss (Hayley), Charles Wu (Ken) and Belinda Bromilow (Betty) will all be back for series two. I am in the US, and I really enjoy Doctor, Doctor, 800 Words, and Doctor Blake Mysteries. I am sad that they canceled Doctor Blake. Also Glitch is fun and I adore Upper Middle Bogan. No one has as good a MasterChef as Australia. That show is in a category of it’s own for quality. I enjoyed The Wrong Girl too. Thanks, nice to hear the US feedback! Like to see the ambulances officers more involved in “Doctor Doctor” as they play a big role in transferring patients in country areas and regions. Now we have nurses/ambulance officers graduating with a double a degree and they have dual roles, dealing with patients. Bron played this role in “All Saints”. It would be applicable to “Doctor Doctor”. The show also needs to focus on the townspeople(e.g. like the flying doctors.) and not just the farmers. Well I am happy….I liked it from the get go…..Rodger Corser is terrific ….a great young actor who is stretching himself….to a new place…and doing it well….in my opinion…..
Good news for Aussie drama, and the industry in general. I’m really impressed with the latest batch of new Aussie shows. Procedural dramas are becoming a thing of the past. I particularly love the quirkiness of shows like Doctor, Doctor and 800 Words. If you don’t like a show, don’t watch it. But don’t begrudge a renewal of a show which many others like. I’ve never liked Offspring but I’m perfectly happy for those who do. There are alternatives. What so controversial? Nine is without a doubt the perfect home for silly old goats. GoT and Walking Dead would be useless without their relationships. At least you’ve conceded you’ve never watched. Would be good to concede the budget differences too. Aussie dramas should not be compared to global juggernauts that have a much different agenda. Chalk and cheese. Well that’s throwing in the towel, isn’t it. OK, so we don’t have the budgets to do GoT, Walking Dead, etc, but why not attempt to do something original like Mr Robot, Better Call Saul, Olive Kitteridge, Veep, House of Cards, UnREAL and Black Mirror, all of which I’ve enjoyed this year, and didn’t cost a lot to make. All those shows demonstrated a willingness to go beyond the standard domestic/lawyer/cop/doctor melodrama formula, and they paid off. At the very least we could *try* to do something original. Per capita we produce more actors than any other country – why can’t we make TV shows that match the acting talent we are clearly capable of creating in this country? You will find most of those did cost a lot to make, especially House of Cards. None of the shows you’ve referenced are Free to Air and are STV and Streaming. When we generalise about Australian productions we tend to focus on FTA melodramas, which is understandable. But we omit a range of other titles that are more niche, some of which prove successful and some which don’t and many I have referenced numerous times. Not sure where your per capita reference is from, but production budgets are historically tied to population and the rates that can be charged to advertisers for accessing them. I realise you get emotive about this topic, I’m endeavouring to talk you through the maths! Sorry, by per capita I meant that for such a small population we create a lot of good actors, many of whom have deservedly found success overseas. My point is that we are obviously doing something right regarding acting, but not when it comes to the actual making of TV shows. Those budgets for HoC, etc are mainly for the actors. If you used Australian actors on union rates all those shows I mentioned could be done for far less. Look at the first season of Breaking Bad – it cost the same as the average Oz TV series. Mathias’s response hits the nail on the head. It’s not all going to Kevin Spacey and Robin Wright. Writer, crew, location, transport, equipment, post prdn costs are all higher in the US. Breaking Bad averaged $3m an ep according to Variety, not sure about S1 but I would question it was the same as here. US produces a pile of doctor, lawyer, police dramas because they are more economic and conducive to long-running story generation. But we’ve also broadened into more niche dramas in recent years including some that stray into paranormal. Currently I would also put Wentworth ahead of OITNB. I would consider myself in the target demographic for a show like Doctor Doctor (even though I haven’t watched it yet) along with other similar style shows, and none of the shows you list as original would come anywhere near my to-watch list. Just a catalogue of more American-style violence and unbelievable storylines, which to me is formulaic. There’s a market out there for shows which are set in the Australian context that we live in, and featuring people and storylines that are plausible to our experience. I would rather that money was spent bringing more shows like 800 words, Packed to the Rafters, Seachange to our screens, and much less violence, crime and politics. Good to hear confidence in a new Aussie drama. Have given 9 a chance with this and the new Hyde and Seek. Hope both continue to do well.